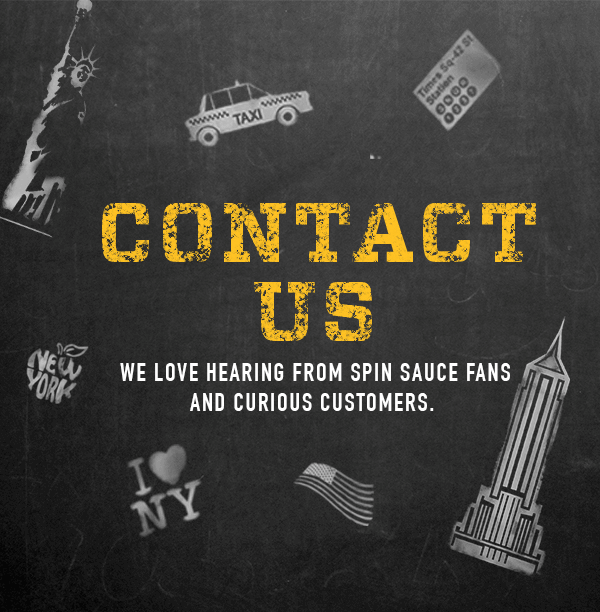 we love hearing from spin sauce fans and curious customers. If you have a question about Spin Sauce, or if you just want to send us a comment about your experience with Spin Sauce, we’d love to hear from you. Our customers are important to us, so simply email or call us with the information listed below. You can also find us on Facebook and Instagram. For more information, please contact us at info@spinsauce.com.